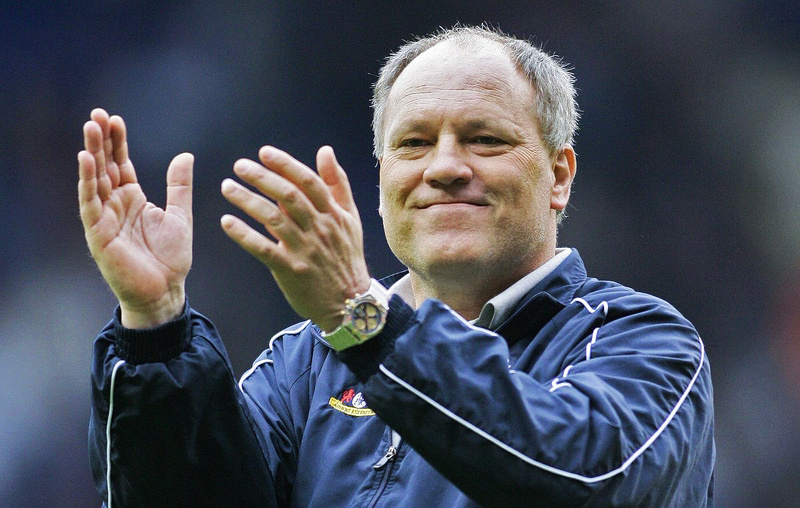 With a lot of talk in recent months about the importance of Mauricio Pochettino to Tottenham Hotspur, Sam Marlow takes a look at another of our revolutionary managers, Martin Jol. 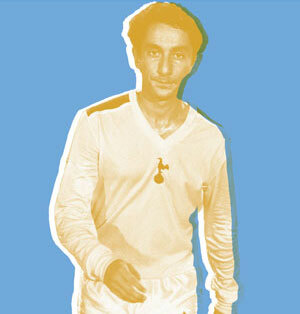 In November 2004, the long since forgotten Jacques Santini confined himself to the history books when he left Spurs. Tottenham were playing a defensive style of football, and the echoes of glory were a distant memory. However, this moment in time represents a significant turning point for our club. The appointment of Martin Jol marked the beginning of the rise of the new modern Tottenham Hotspur. Martin Jol was the man to awake the sleeping giant in Spurs, and a lot of the success we see today is owed to him. By December 2004, big Martin Jol had got Tottenham to win five league games in a row for the first time since the 1992-93 season. Veteran fans of today use the dreaded 90s as a badge of honour to legitimise their fandom. The suffering of 90s Spurs is becoming a distant memory today, but the man who sparked that revolution joined in very unassuming circumstances. Starting out as our assistant manager, Martin Jol did not agree with how things were being done. Frenchman Jacques Santini was struggling with a boring defensive brand of football. Jol took over following Santini’s departure and became the first modern Tottenham coach to impose an attacking footballing philosophy on our side and it paid dividends. Even though Martin Jol was keen to ditch Santini’s defensive style, in the 2005-2006 season Spurs only conceded 38 league goals, which was the fewest since 1971. Out went Dean Marney and Goran Bunjevcevic and in came the mercurial Dimitar Berbatov and industrious Steed Malbranque. Martin Jol also delivered some great results along the way, including ending the famous hoodoo against a strong Chelsea team. The giant Dutchman returned Tottenham to Europe in 2006, by giving us our highest league finish since 1990. This meant qualifying for the UEFA cup through the league for the first time since the ban was lifted on English teams following the Heysel disaster of 1985. It is only through a dodgy lasagna that meant we weren’t playing champions league football. In 2007, Jol’s Tottenham took 27 points from the final 12 games, resulting in a late surge into 5th place. This made Martin Jol the first manager since General Keith Burkinshaw to deliver two consecutive seasons of European football at Tottenham. He was the first manager in a long time which made us believe. After over a decade of mediocrity, Martin Jol implemented a footballing philosophy at White Hart Lane which not only delivered some great results, but also gave us some brilliant memories. Martin Jol signifies the end of 90s Tottenham and carried us into this new era. He laid the foundations for Tottenham as European club, and set the ball rolling on the new attacking cohesive Spurs that we see today. Martin Jol didn’t win any trophies or bring us Champions League qualification. But he started something. He awoke the sleeping giant that was Tottenham Hotspur. For the five years prior to his arrival, our average league position was 11th. Jol moved the goal posts. Those Glory Glory European nights were on their way back. Any match-going Tottenham fan will tell you that European nights under the lights are the best part about supporting Spurs. We had been starved of them for so long. A new generation of Spurs fans got to see the fully lilywhite kits glow against Slavia Prague, Besiktas, Club Brugge, Bayer Leverkusen, Dinamo Bucaresti, Braga and Sevilla. It is hard to articulate the excitement of this to fans who have come to expect the glamour ties against Barcelona and Juventus. Mauricio Pochettino will undoubtedly go down in history as one of Tottenham Hostpur’s most significant and important managers. However, a lot of credit is due to Martin Jol who set the wheels in motion. Thank you Martin. We will always love you at Spurs for making us believe again and taking us back to Europe which matters so much to everyone at our club. You’ve got no hair, but we don’t care. I do wish people would stop going on about a dodgy lasagne. It was a virus, as Michael Carrick has explained recently. No dodgy food, just a virus that swept through a group of people in close proximity to each other. Have they found out where/who the virus came from? If it was from some source that proved to be accidental, then we just have to accept it as bad luck. If the source cannot be traced, that would imply someone is hiding/covering the truth. Then the motive has to be assessed carefully! It has to be either some beneficiary or someone else who wanted to frame the obvious beneficiary! Spot on with your assessment as being one of them 90’s fans that suffered I can remember how Jol lifted us. I saw more Spurs matches in his era than any other. That’s mainly due to personal circumstances but he certainly regained my interest in the club again. It is sad though how his career has ended at the club!